As a rule of thumb, current account deficit should not exceed 5% of GDP. If it exceeds, it must raise concerns about its sustainability. In Kenya, current account balance deficit increased to 10.5% of the GDP by 2014 and 8.3% in 2015. Unsustainable current account deficits are a potential recipe for a currency crisis and current account reversal which have negative implications on macroeconomic stability of a country. The purpose of this study is to examine the effect of budget deficits on current account deficits in Kenya. The specific objectives were to establish relationship between budget deficits on current account deficits in Kenya, to find out the short term or a long run relationship among the variables and to identify direction of the causality. The study was guided Keynesian Theory and Ricardian theory. An explanatory research design was adopted. The study covered the period of 1970 to 2017. The study used data from secondary sources including WDI, KNBS and Economic Surveys. Descriptive statistics such as mean and standard deviation was used to perform data analysis. EVIEWS was used in the analysis. Autoregressive Distributed Lag model was used to estimate the best model. The speed of adjustment towards long run equilibrium was 44.6484% implying that the system will get back to long run equilibrium at the speed of 44.6484%. The study concluded that budget deficit have a significant long run effect on Current account deficit and also Current account deficit have a significant long run impact on Budget deficit. The study concluded that there exist a short run relationship between budget deficit and current account balance. For Kenya to progress the study advocates for favorable current account balance by reducing persistent deficits and achieving current account balance sustainability, several policy options should be applied. Deliberate export oriented approaches through product diversification and international trade promotion to ensure that our products can be competitive in the international markets. For Kenya to progress the study advocates for favorable current account balance by reducing persistent deficits and achieving current account balance sustainability, several policy options should be applied. Stability in exchange rate and low inflation are critical in ensuring productivity growth. Kew words: budget deficits, causality, current account deficits. Akbas, Y. E., Senturk, M., &Sancar, C. (2013). Testing for causality between the foreign direct investment, current account deficit, GDP and total credit: Evidence from G7. Panoeconomicus, 60(6), 791-812. Akgay, O. C., Alper, C. E., &Ozmucur, S. (2018). Budget Deficit, Inflation and Debt Sustainability: Evidence from Turkey, 1970-2000. In Inflation and Disinflation in Turkey (pp. 83-102). Routledge. Aloryito, G. K., Senadza, B., &Nketiah-Amponsah, E. (2016). Testing the Twin Deficits Hypothesis: Effect of Fiscal Balance on Current Account Balance—A Panel Analysis of Sub-Saharan Africa. Modern Economy, 7(09), 945. Bakarr, T. A. (2014). Fiscal Deficits and Current Account Imbalances: Evidence from Sierra Leone. International Journal of Business and Social Science, 5(8). Banday, U. J., &Aneja, R. (2016). How budget deficit and current account deficit are interrelated in Indian economy. Theoretical & Applied Economics, 23(1). Bernheim, B. D. (1988). Budget deficits and the balance of trade. Tax policy and the Economy, 2, 1-31. Blecker, R. A. (2016). Beyond the" Twin Deficits": A Trade Strategy for the 1990's: A Trade Strategy for the 1990's. Routledge. Calderon, C. A., Chong, A., &Loayza, N. V. (2002). Determinants of current account deficits in developing countries. Contributions in Macroeconomics, 2(1). Caravale, G. A., &Tosato, D. A. (2013). Ricardo and the theory of value distribution and growth. Routledge. Casarosa, C. (1982). The new view of the Ricardian theory of distribution and economic growth. Blackwell. Caverzasi, E., & Godin, A. (2014). Post-Keynesian stock-flow-consistent modelling: a survey. Cambridge Journal of Economics, 39(1), 157-187. Chinn, M. D., & Ito, H. (2008). Global current account imbalances: American fiscal policy versus East Asian savings. Review of International Economics, 16(3), 479-498. Davidson, P. (2015). Post keynesian theory and policy: a realistic analysis of the market oriented capitalist economy. Edward Elgar Publishing. De Vaus, D. A., & de Vaus, D. (2001). Research design in social research. Sage. Egwaikhide, F. O. (1997). Effects of budget deficits on the current account balance in Nigeria: A simulation exercise. Egwaikhide, F. O., Oyeranti, O. A., Ayodele, O. A., &Tchokote, J. (2002). Causality between budget deficit and the current account balance in African countries. West African journal of monetary and economic integration, 2(2), 1-28. Eichner, A. S., &Kregel, J. A. (1975). An essay on post-Keynesian theory: a new paradigm in economics. journal of Economic Literature, 13(4), 1293-1314. Elhendawy, E. O. (2014). the relationship between budget deficit and current account deficit in Egypt. International Journal of Economics and Finance, 6(3), 169. El-Namrouty, K. A., &Saidam, A. M. (2015). The Effects of Budget Deficit on Current Account: Case Study (Palestinian Territories 1996–2012). 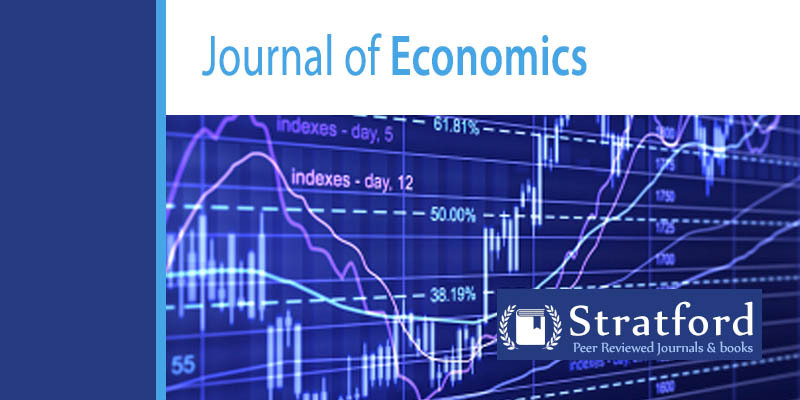 International Journal of Economics, Finance and Management Sciences, 3(1), 57-67. Ener, M., & Arica, F. (2012). The current account-interest rate relation: A panel data study for OECD countries. E3 Journal of Business Management and Economics, 32, 48-54. Golub, S. S., & Hsieh, C. T. (2000). Classical Ricardian theory of comparative advantage revisited. Review of international economics, 8(2), 221-234. Gujarati, D. (2004). Basic Econometrics. United States Military Academy, West Point. Jemna, D. V. (2015). Causality relationship between economic development and fertility in romania on regional level. Procedia Economics and Finance, 20, 334-341. Korsu, R. D. (2006). Fiscal Deficit and the External Sector Performance of Sierra Leone: A Simulation Approach. Journal of Economics and Monetary Integration, 9(1). Lavoie, M. (2014). Post-Keynesian economics: new foundations. Edward Elgar Publishing. Merza, E., Alawin, M., &Bashayreh, A. (2012). The relationship between current account and government budget balance: The case of Kuwait. International Journal of Humanities and social science, 2(7), 168-177. MF (2013) Regional Economic Outlook for Sub-Saharan Africa. International Monetary Fund, Washington DC. Mitchell, D. J. (2005). The impact of government spending on economic growth. The Heritage Foundation, 1813, 1-18. Mwangi, K. S. (2014). Determinants of Current Account Balance in Kenya. A Research. Nkuna, O. (2013). Sustainability of the Malawian current account deficit: Application of structural and solvency approaches. Journal of Economics and International Finance, 5(5), 187-198. Okpanachi, U. M., &Abimiku, C. A. (2007). Fiscal deficit and macroeconomic performance: A survey of theory and empirical evidence. The Nigerian economy: Challenges and directions for growth in the next, 25, 3-34. Oladipo, S. O., &Akinbobola, T. O. (2011). Budget deficit and inflation in Nigeria: A causal relationship. Journal of Emerging Trends in Economics and Management Sciences, 2(1), 1-8. Spiro, P. (1997). The Effect of the Current Account Balance on Interest Rates. Wambui, V. C. (2016). The Twin Deficits Hypothesis in East African Countries. Unpublished Master of Arts (Economics) Research Paper, University of Nairobi. Wanjiru, G. P. (2017). An Empirical Analysis Of The Effect Of Budget Deficits On The Current Account Deficits In Kenya. Woodford, M. (2011). Simple analytics of the government expenditure multiplier. American Economic Journal: Macroeconomics, 3(1), 1-35.
yoni, T., and Bonga, W.G (2017f). An Empirical Analysis of the Determinants of Private Investment in Zimbabwe, Dynamic Research Journals Journal of Economics and Finance (DRJ-JEF), 2 (4): 38-54.